The cry of "Get your kit out" can mean lots of things to different people. 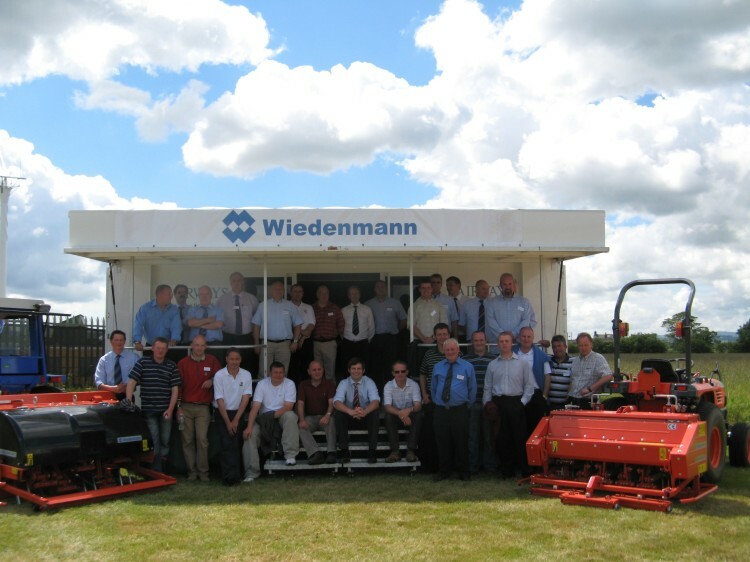 For the Wiedenmann UK team it meant setting up their entire fleet of turf and ground care equipment at the show field, next to their Glasgow Airport base. Across three days around 80 customers and dealers of Wiedenmann UK took part in a series of demonstrations with all machines put through their paces. All five of its fast, deep Terra Spike aerators were lined up side by side for the ultimate display of decompaction. "It wasn't quite the Red Arrows," said Chas Ayres, Area Sales Manager, " but it gave everyone the opportunity to compare hole spacings at speed and to see first hand the versatility of the Wiedenmann range." 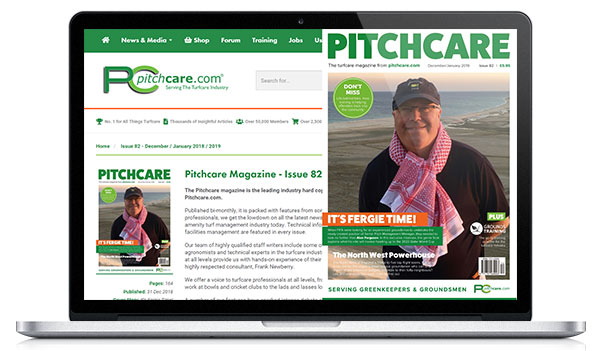 Also on show was Wiedenmann's award winning Heather Management System. Despite conjuring up dozens of tractors for the event, the Wiedenmann team just couldn't provide a field of heather to harvest so had to make do with a field of three feet high grass. "Even in Scotland it was just too early for sprouting heather but I think everyone got the idea!" mused Chas Ayres. 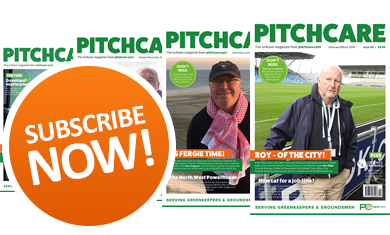 "Some of our visitors reckoned harvesting your own heather seed would save considerable money on seed buying, but critically retaining the local plant variety was a huge bonus." Wiedenmann will bring its range to Saltex, see them at stand V26.